I only take a 25% deposit before starting any commission, and make a 100% guarantee that if for any reason you’re not happy with my work, you’re under no obligation to buy and I’ll give you your deposit back. 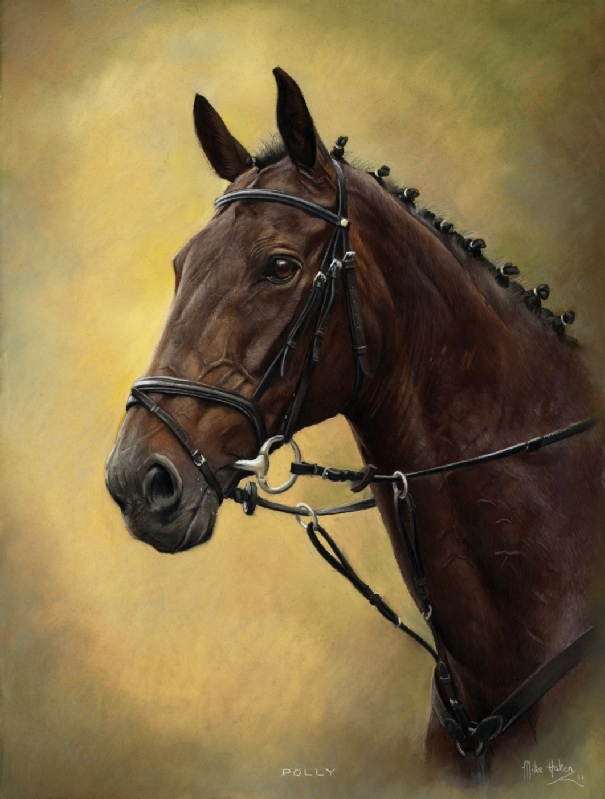 I’m proud to tell you that I’ve never had a portrait of a horse or dog rejected, not one. If you’re interested in commissioning me, give me a call - what have you got to lose? Pepper Lane, trained by David O’Meara, winner of three races at Ripon in 2011, including the Great Saint Wilfred Stakes, and she won the Great Saint Wilfred again in 2012. 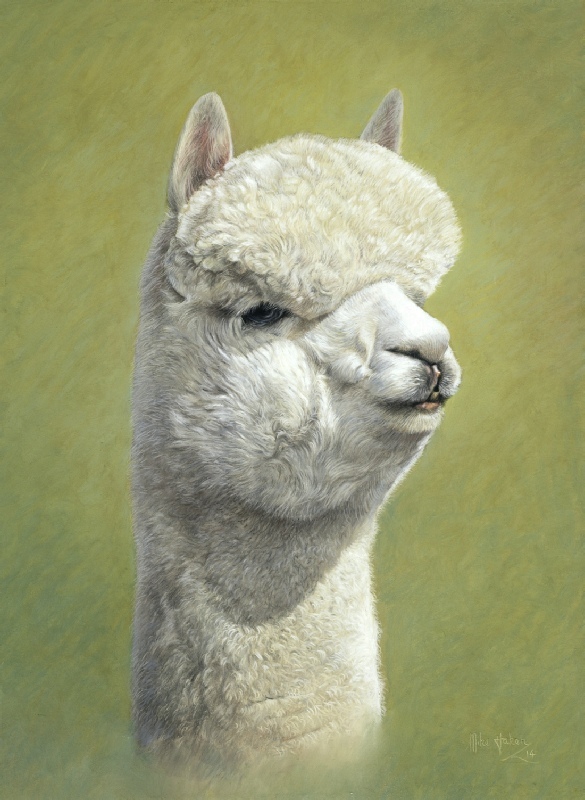 Based in Nidderdale, North Yorkshire, I specialise in the production of stunning portraits of horses, dogs, and other animals (such as the alpaca pictured below left), with customers across the country and abroad. The key to a successful portrait is always the selection of photos on which it is based. 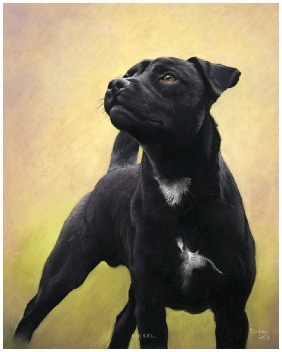 Unlike most “pet portait” artists, I prefer (if possible) to come out to see the animal and take my own photos so I can control position and light to really catch the subject’s character. Look through my galleries and I think you’ll agree that the results of this approach speak for themselves. 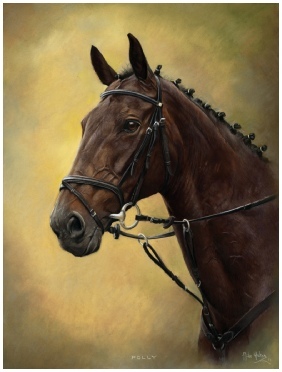 A portrait of a favourite horse or dog makes a unique and personal Christmas gift for someone special. To catch a horse at its best, photos usually need to be taken in summer and this year, thanks to the chilly nights recently (still in August! ), I’ve already seen horses with shaggy winter coats starting to come through. 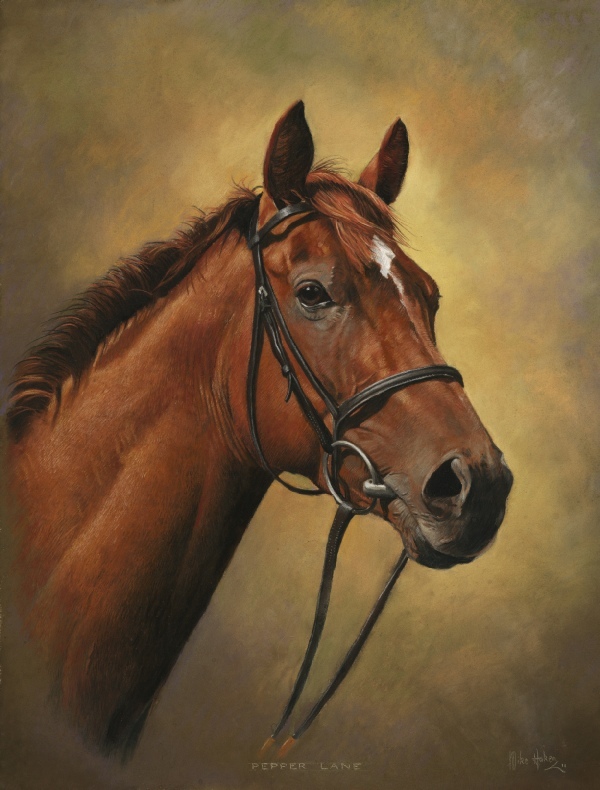 So, if you’re considering commissioning a portrait of a horse later this year for a Christmas gift or maybe for yourself, please don’t risk missing out; another couple of weeks may well be too late. 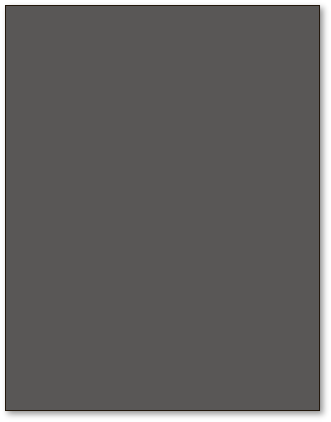 Contact me right away for a chat about your requirements, with no obligation whatsoever.